Do you find yourself not having time to hit the gym because of work? We have a few solutions for you. Enjoy our second quarter newsletter, the Health Issue. High-intensity workouts are some of the best ways to improve health and athletic performance. One of the biggest advantages of HIIT is that you can get max health benefits in less time. This blog explains what HIIT is and examines the benefits. Time is everything for people. High-intensity training is perfect for the busy schedule — you don't need a gym. You can do it at your home and only requires 20-30 minutes. HIIT involves short bursts of intense 30 seconds to 1 minute exercises alternated with low-intensity recovery periods. Interestingly, it is perhaps the most time-efficient way to exercise. While Fresno has Yosemite National Park for mountain climbing, it seems that the sport itself is on the rise: in 2020, climbers will have the chance to compete in the Olympics for the first time. We sat down with the GM of MetalMark Fresno, Marie Garringer to hear about this new indoor rock climbing facility slash gym in Fresno, CA. 1. 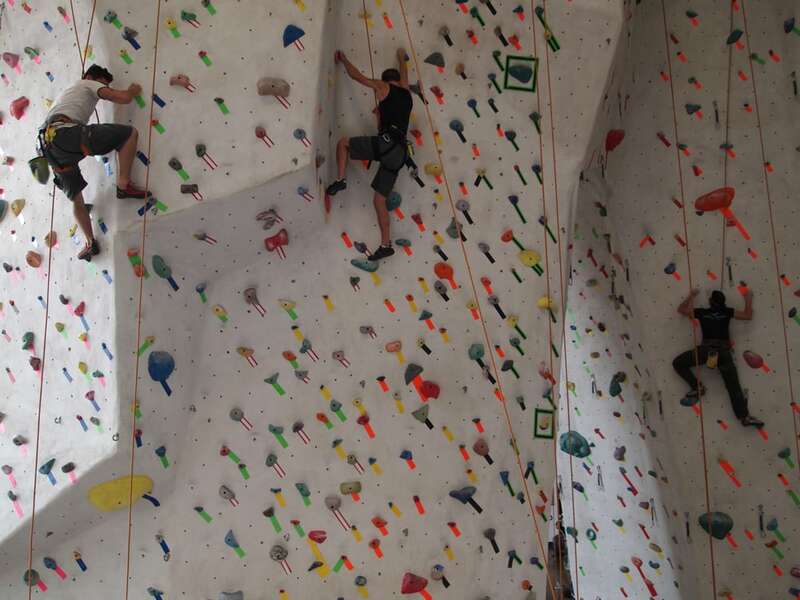 Why has indoor climbing become so popular in recent years? I think people are getting bored with the traditional gym environment and I find more and more people leaving their traditional gym and seeking out a “community” with like minded individuals. The climbing gym is very social and a very tight community. 2. What are the health benefits of indoor rock climbing? Rock climbing is a great way to work your entire body. Every muscle is used in a functional way. Functional training compliments climbing and vice versa. It is pretty safe as long as you are attentive to the safety checks required when climbing. Climbing does have the potential to be dangerous and thus the reason we have belay tests for those who do not climbing on a regular basis. Safety is one of our main concerns. 4. Any future attractions in your gorgeous facility? We have monthly events for members which include a nutrition clinic once a month, fitness classes, climbing clinics. C.A. Reding Company, a multifaceted office technology company, announces its role as the Official Sponsor for Poverello House Run for Meals that took place June 2, 2018 in Fresno, California. This marks the 5th year in a row supporting this wonderful charity.